In the corner of the showroom at the Maserati factory in Modena, there is a table set with glasses, and champagne on ice. A man, his steely blue-grey eyes framed by lines on a tanned skin bearing witness to many Los Angeles summers, is celebrating his new Maserati Ghibli. He decided to pick it up directly at the factory, before enjoying it on the twisting European roads for a few weeks with his wife. Only then will he have it shipped back to the States. This is the only place and occasion where alcohol is allowed at the factory. At Maserati, everything is stringently checked from start to end of the manufacturing process. Twelve percent of the people working there are dedicated uniquely to quality control, and the car spends far more time being inspected than it does on the assembly line. In addition to the checks on every part and every step of construction, the complete car undergoes a 24-stage quality control procedure. Inspection of paintwork is a task entrusted to women, who have proven to be far more skilled than men in assessing the perfection of colour and finish. One of the reasons why no few customers decide to collect their new car from the factory is because the vehicle is yours from the outset. All the cars on the production line have already been bought, and each is personalized with the many available options of colour, leather, even stitching. The number of permutations possible for a single model run into millions. 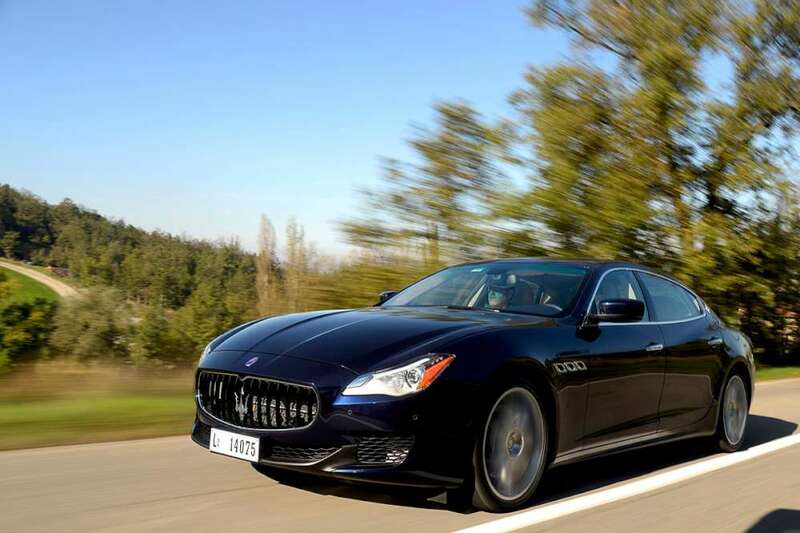 The Ghibli is part of Maserati’s ambitious plans to increase its luxury car production from the 2,600 vehicles manufactured in 2012 to the 50,000 forecast for 2015. By then, the range will have been completed, with the addition of the Levante crossover, so Maserati will cover the whole of the luxury market. I drove the Ghibli at a press presentation held in Modena in November 2013. The first thing that you notice when you get in is the high level of finish. There is a subtle fragrance from the leather seats, and a myriad of high-tech comfort features, such as the comprehensive seat adjustment, spacious compartments under the dash, and between driver and passenger. Other details reveal something of the Maserati racing DNA, such as the start button on the door side of the steering wheel. This is a throwback to the heroic racing days when drivers had to sprint to the car, start the engine and set off, and so the start button near the door left the other hand free for the gear lever. It’s when you’re on the small winding roads of the Apennine countryside around Modena (or wherever you are) that the car becomes an amazing ride. Change from automatic to manual, harden up the suspension with another button, and use the paddles to handle the 8-speed gearbox. When you take her close to the limit on corners, the grip is incredible. As you go beyond, you can play with her through oversteering slides and four-wheel drift. The degree to which you can do this depends on the model. The Ghibli Q4 has all-wheel drive, with a system that balances torque between front and rear wheels with constant, split-second adjustment. In this case, the system is so efficient that as soon as the rear wheels start to slip, the torque is loaded up front, and the car remains glued to the asphalt. The models available for the Ghibli give you a choice of just how sporty you want your car to be. The new Ghibli is a revolution in many ways: higher performance, more space, fun to drive. This reflects a whole series of design innovations, such as the relocated fuel tank which provides more room in the boot; an overall reduction of weight, with half the upper body in ultra-light aluminium, and the dashboard cross-beam in magnesium. The various power plants are all best-in-class, and likewise the weight/power ratios. But perhaps the biggest surprise is the diesel version of the Ghibli. This was necessary above all for the European market where petrol prices are higher than in the USA. It is the first diesel car in the history of Maserati, and the engineers have done a respectable job of giving the 275 hp engine the Maserati feel and sound. A special steel exhaust manifold keeps the exhaust gas hot for better turbocharger performance. The sound, of course, is different: deeper, throatier, with the same Sport button to amplify this baritone concert. 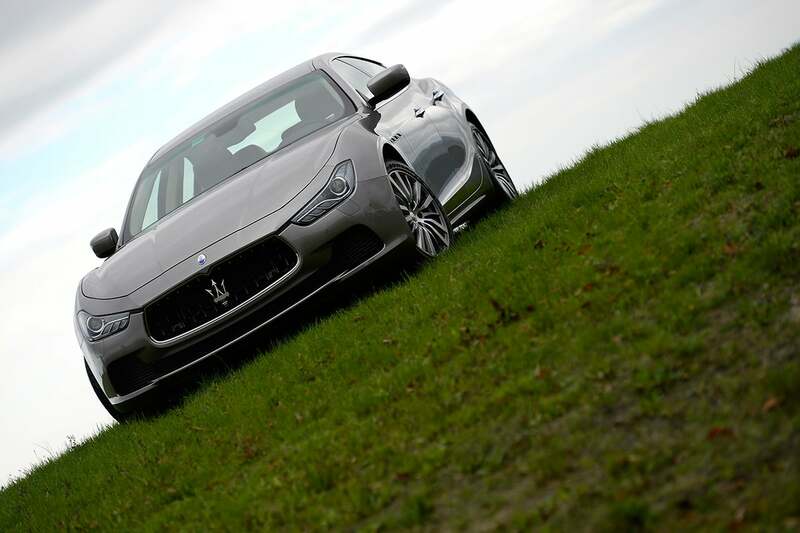 One thing that you won’t find in the Ghibli – or in any Maserati – are things like adaptive cruise control. With the top speeds of the Ghibli, there wouldn’t be much point, but above all, the Ghibli is a car for hands-on driving, and not one to be driven in. When you’ve reached your destination, you get out, admire the frameless windows and the bulging fender arches (both directly from the racing DNA), and the temptation to get back on the road is irresistible. The prices of the Ghibli put it into attractive competition with its German rivals, but to be honest, its handling, its looks and its voice give it ‘una marcia in più.’ An extra gear.